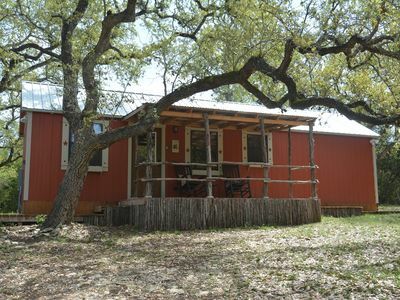 Diamond W Ranch-Quaint Cabin in the woods! 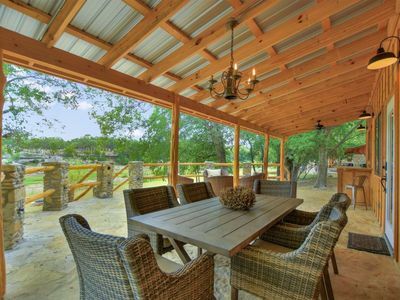 Rustic cabin, 2/1 Hill Country retreat is nestled on 5.5 beautiful acres – minutes from Wimberley Square but very secluded. 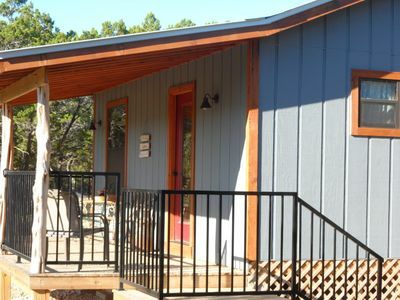 Enjoy the quiet garden, walking trails, wildlife, picnic & starry nights at the fire ring – split wood too! 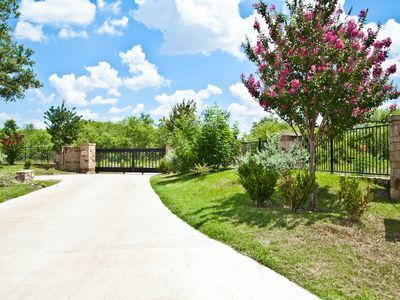 – at this private, gated ranch. 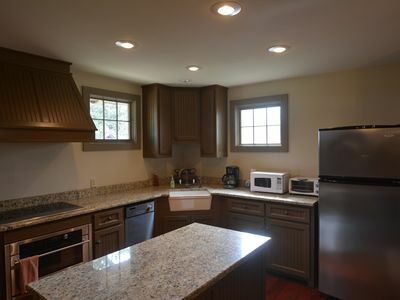 A newly built, well-stocked kitchen & incredibly cozy furnishings will have you unwind in no time. 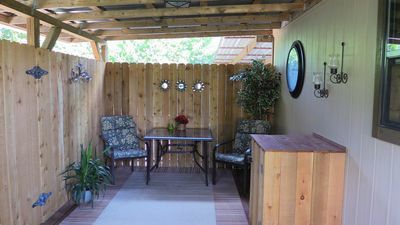 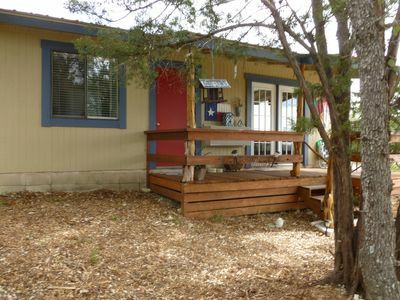 Well-tended homestead accommodates 6 comfortably,. 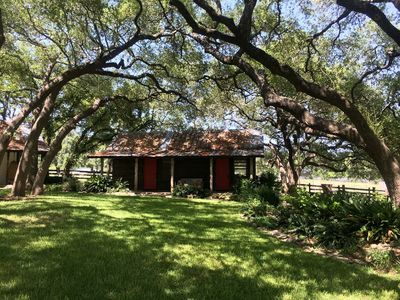 Wimberley draws all ages with many reasons to return. 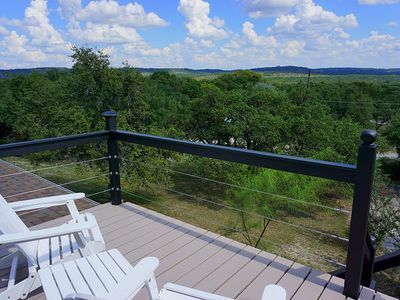 Cool off and explore the unique landscape that forms the Texas Hill Country at Blue Hole Regional Park, Jacob's Well, the Blanco River and the Devil's Backbone Scenic Drive (especially beautiful at sunrise or dusk!). 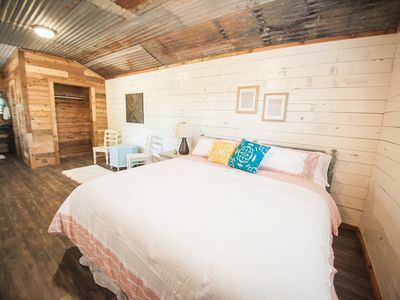 Delight your taste buds and antiquing itch at the many eateries, breweries, distilleries and vineyards offering tours, in addition to Market Days and specialty shops. 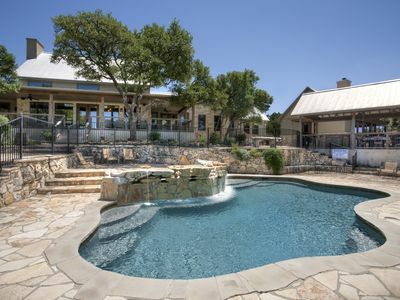 And for the adventurous, take in the spectacular views of the Valley at Wimberley Zipline Adventures or challenge yourself at the Quicksand Golf Course greens in Woodcreek. 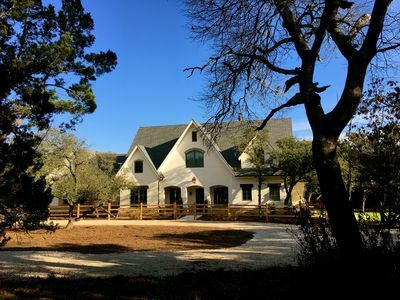 Whether you're catching music shows or performances at Blue Hole or the EmilyAnn or Corral Theaters, or just leaving behind the hectic daily pace for a few days, Wimberley will bring you back time after time. 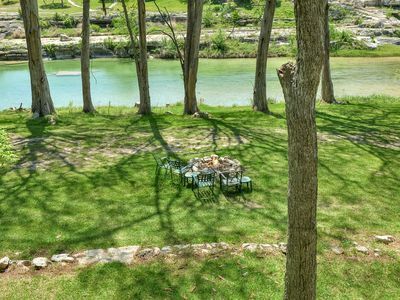 From Wimberley, explore Hill Country with short daytrips to nearby historic Gruene Hall, the Guadalupe River, Hamilton Pool Preserve and institutions like the Driftwood and Duchman vineyards, Salt Lick, Royers Pie Haven and the yearly Round Top Antique Shows. 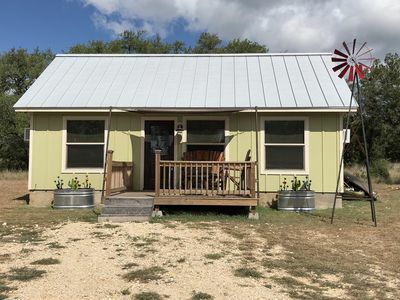 You won't run out of crafts and antiques shopping stops, and the San Marcos outlet stores are 15 miles away from Wimberley. 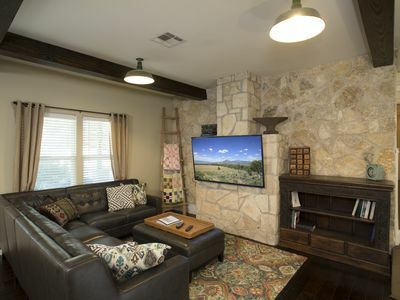 Whether you're planning gals' time off, a couples or multi-family gathering, celebrating a special milestone or just recharging with peaceful down time from the hectic everyday pace, Juniper Grove centrally provides the idyllic setting with all of the quiet privacy, room to roam and modern comforts to suit your needs. 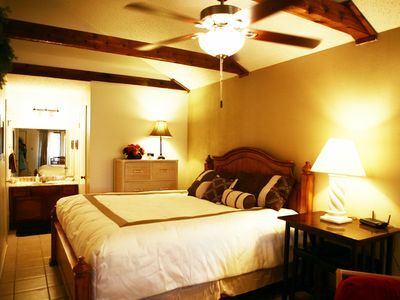 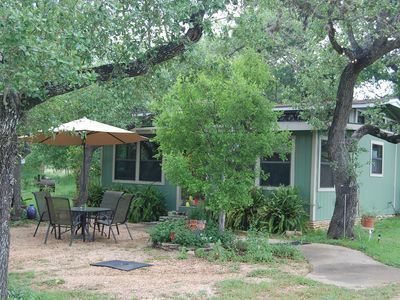 Newly Renovated, Country Cottage One Mile From The Wimberley Square. 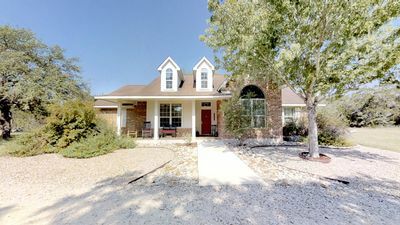 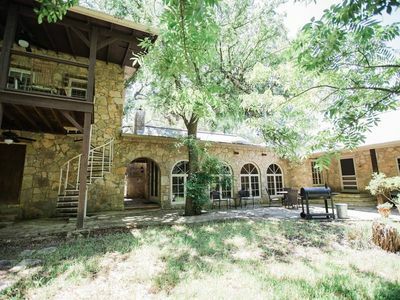 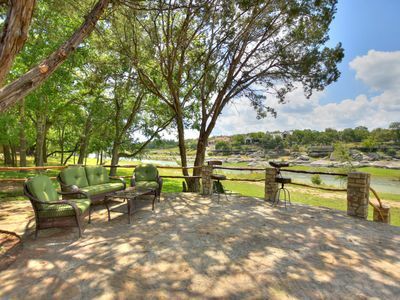 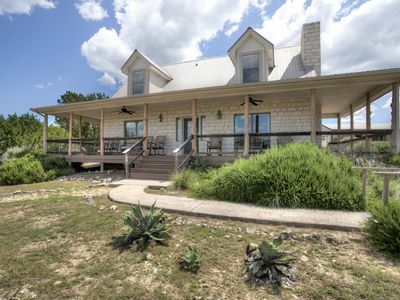 Close to town - Amazing Views - Pet Friendly house in Wimberley!